Do we have your attention yet? 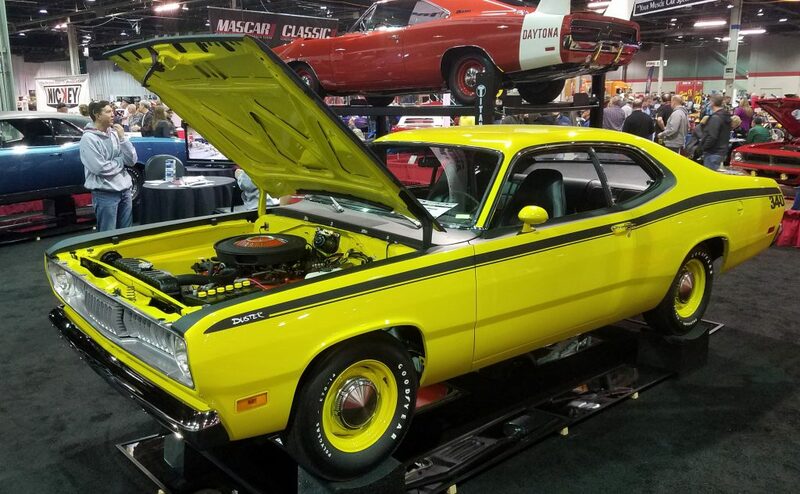 This 1971 Plymouth Duster 340 is finished in Curious Yellow paint that seemed to glow on the show floor. High Impact indeed! 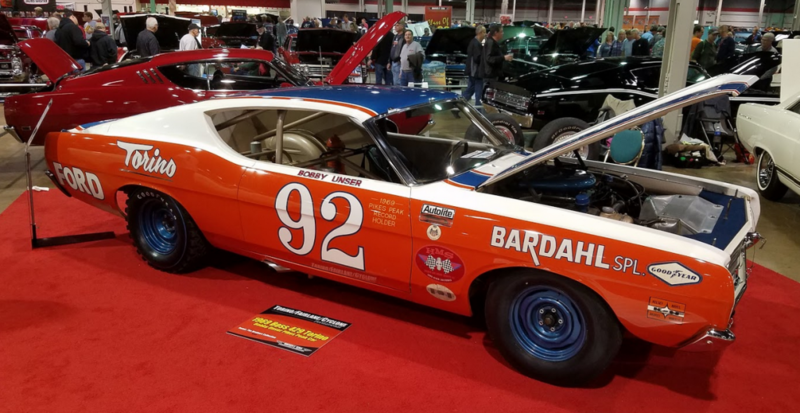 One of the spotlight cars at this year’s show was Bobby Unser’s Boss-429-powered 1969 Torino race car, which was purpose-built by Holman-Moody, Bill Stroppe, and Smokey Yunick to set Pikes Peak records, which it did. 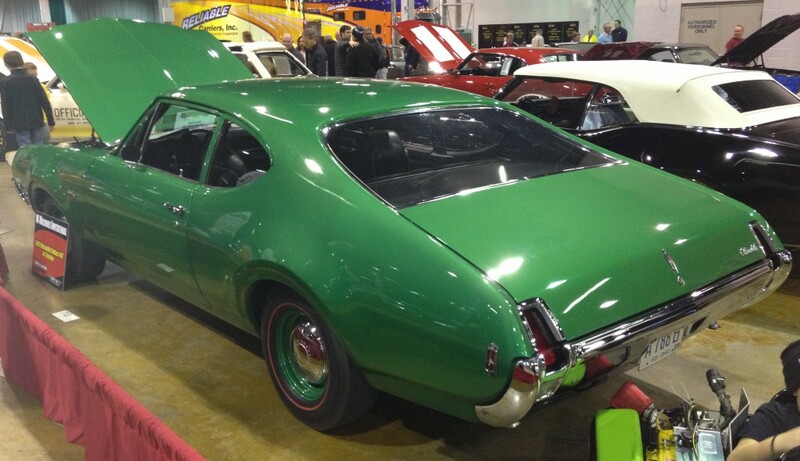 Ever seen Goodyear Blue Streak dirt tires before? 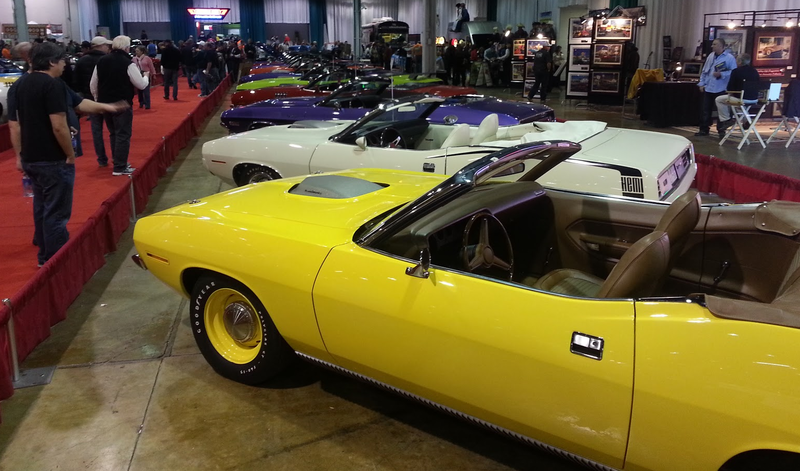 Here’s about one half of the 1970-’71 Hemi ‘Cudas and Challengers that were on display at the 2015 Muscle Car and Corvette Nationals. 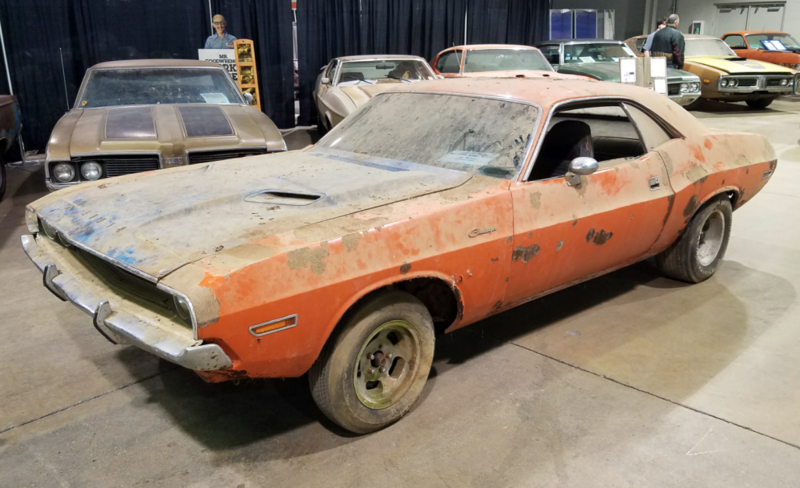 These are the rarest, most desirable, and most valuable regular-production muscle cars in existence.